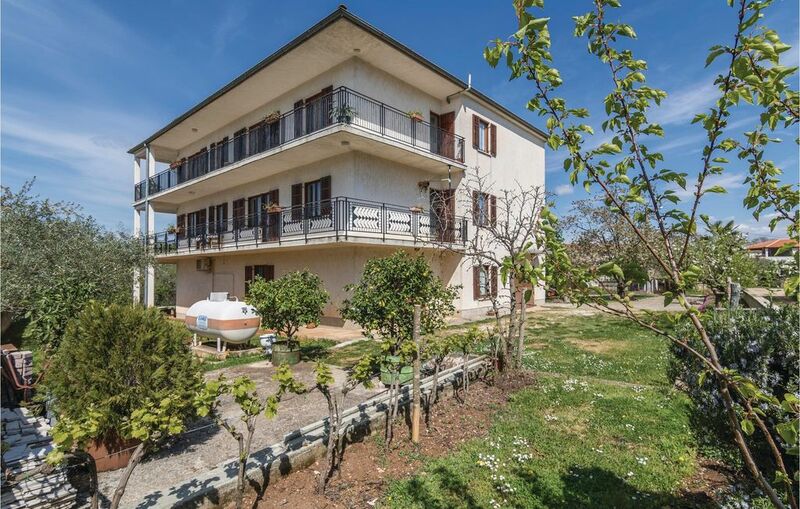 This apartment is located on the second floor of an independent house and has a beautiful view of the countryside. This spacious and sunlit apartment is surrounded by lush greenery and Mediterranean forests. A short drive of a few minutes will take you to the unique fjord of the region, the Lim channel, which is also a nature park. The apartment is located between the cities of Rovinj and Porec, the two beautiful pearls of the Adriatic coast.